I was probably the first member of the Agile community to write with any substance on the topic of “value” and optimize economic performance from Agile methods, in the form of a 63,000 word book published in 2003. Around that time, the Agile community wasn’t sufficiently interested in topics such as “prioritizing iteration backlogs based on value” that my submission for the Agile 2003 conference was rejected. The state of the art in the Extreme Programming community was to prioritize based on technical risk. Agile was largely an internally focused movement. Yes, there was mention of “value” in the Agile Manifesto but when it came to practical guidance there simply wasn’t any. 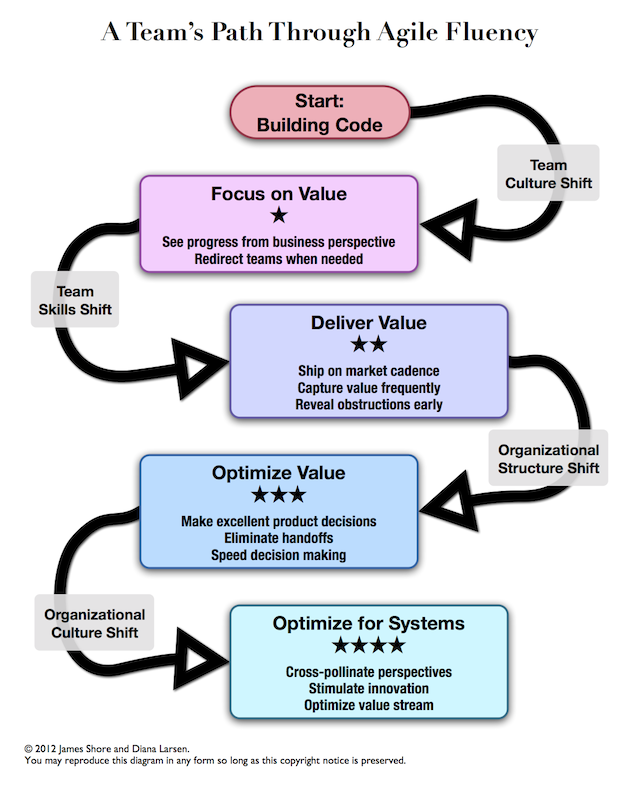 At the time, I wrote Agile Management, I thought defining “value” was easy(ish). I was obsessed by physical goods industry literature on optimizing industrial process, such as The Theory of Constraints, and convinced that all we had to do was determine the value for features and then use that information to prioritize and hence optimize economic performance. Now 13 years later, I can tell you that I am less certain that ever that we know how to define “value” in any meaningful way that can lead to a deterministic approach to optimization of economic performance.